Keith Olbermann is "The Terminated"
In light of Keith Olbermann's firing from Current TV, we present this poster from MAD #510, which appeared only last summer! Given Olbermann’s work history, look for us to “present” this many, many more times over the next few years. Today's comic is by Eric Scott! 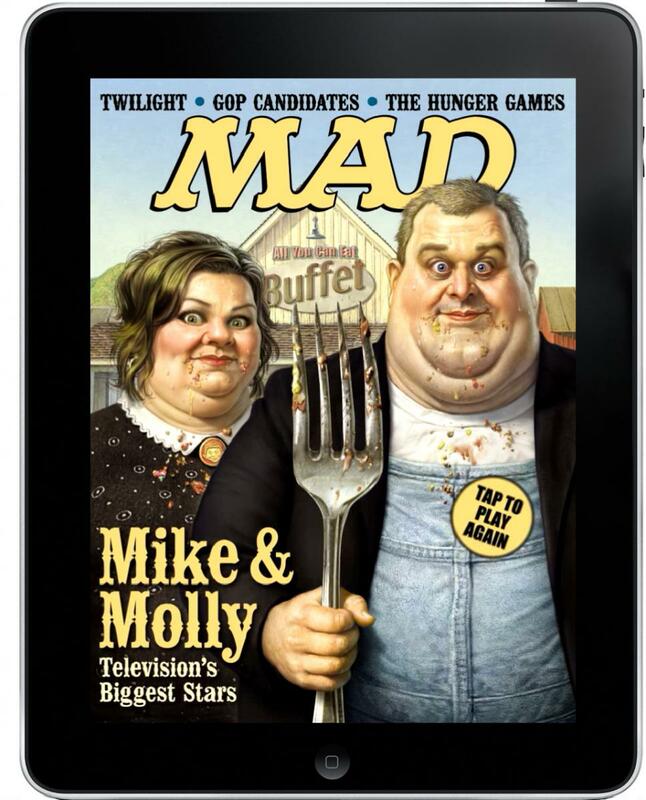 Earlier today, DC Entertainment announced the launch of a new MAD Magazine iPad app. The app will be available for download beginning this Sunday, which also happens to be April Fool’s Day … as well as the birthday of MAD’s infamous mascot, Alfred E. Neuman. LOTTERY WILL GET YOU NOWHERE DEPT. Tonight, millions of Americans will gather around their TVs for the Mega Millions Jackpot lottery drawing. The first prize is more than a whopping half-billion dollars!!! OK, it’s nice to dream, but the chances of you actually winning that prize are pretty long — something along the lines of 176 million to one. But as insurmountable as those odds may seem, other things — but not all — have even longer odds. Yesterday, the NFL announced new rules regarding overtime play and instant-replay reviews. 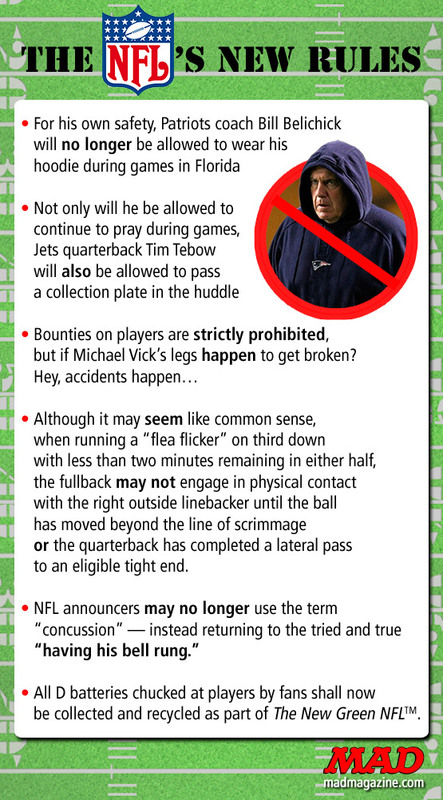 But buried in their official announcement were some other rule changes that will probably cause Al Michaels to vomit into his mouth. Recently, Clueless actress Alicia Silverstone posted a video of her feeding her 10-month-old son in a…unique way. The clip quickly went viral (becoming the first popular thing she’s starred in for over a decade). We’re not going to guess where she got such a disgusting idea, but it definitely made us think about this classic MAD piece. John Caldwell is no clown. But John Caldwell knows clowns! 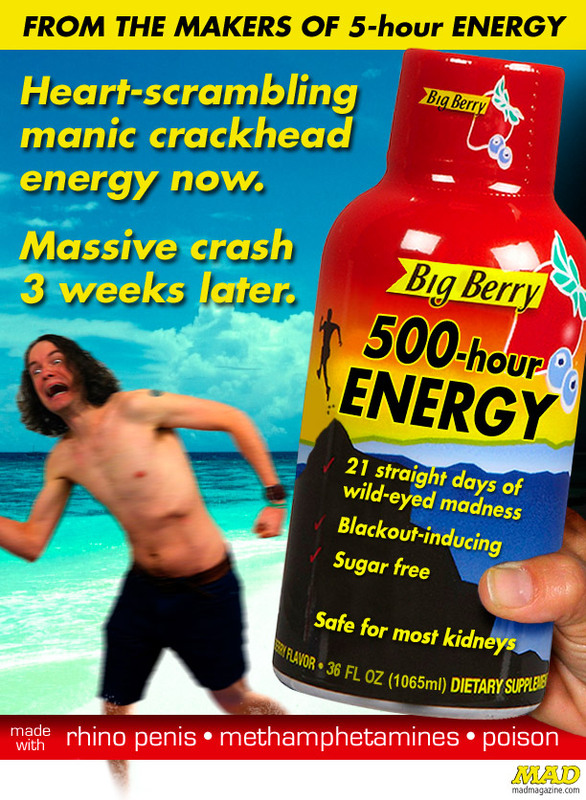 (See what we did there?) Anyhow, here are a few pieces of art from the longtime MAD cartoonist's latest, "The Startling Similarities Bewteen Harvard University and Clown College". After you've had a hearty giggle looking at these, check out some more of John's work for MAD here, then go spend some time on Mr.